Why should you book your event at Rhein Haus? We have a dedicated event manager to handle all your private party questions named Molly, and she is awesome. No Room Rental Fee! Just meet your food & beverage minimums and the space is yours for no charge! We can accommodate groups of all sizes from 18 to 500 (if you want to shut down the entire restaurant). We are separate check friendly! Don’t want to pay for your friends’ beers? No problem! We make booking events EASY and it’s all online! Of course, you are welcome to give our event manager a call at (206) 304-2646 to discuss details but you can also get it all done through our very efficient online event request form. We love helping you throw birthday parties, celebrations, large gatherings, etc.! For groups of 18 or more, fill out the request form and our Event Manager will get back to you to confirm all the details. Team building events, meetings, presentations, etc. are available for groups from 15 - 500! 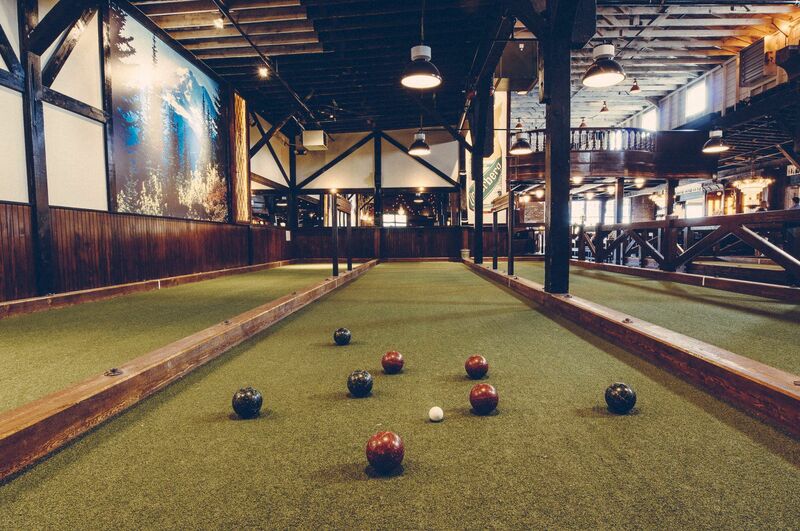 Unlimited Bocce games can be can be added onto your party reservation for $50/hour per court. We also have corn toss available to play on the courts! 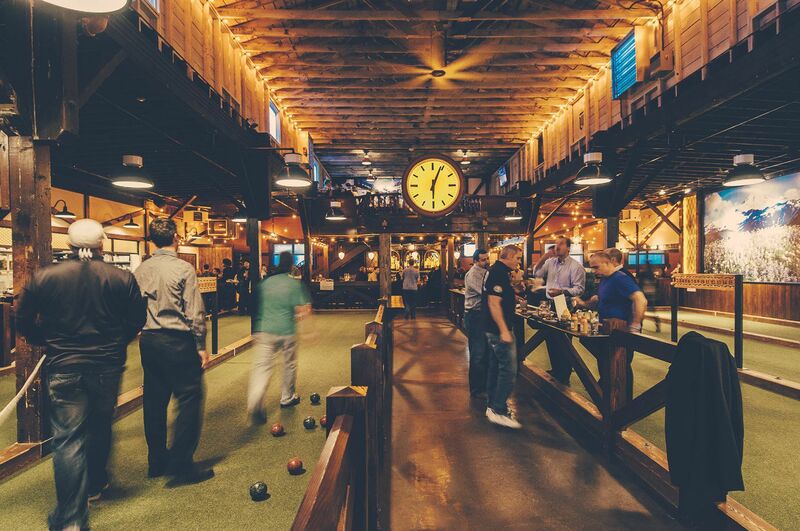 Bocce makes for an awesome team building activity for your coworkers or clients. Some event space rentals require bocce court rentals including the 1/2 Bocce Bar & Bocce Den, The Bocce Den & Bocce Bar, and The Back Half. These three event spaces require 3 courts to be rented for the duration of your event. What are your Event Space rates? We do not charge for our event spaces but instead require a food and beverage minimum for reservation. Each space must be rented for a minimum of 2 hours. *Please note that pricing may vary seasonally, and minimums do not include sales tax. For groups larger than 50, rates vary depending on size and location of group. Adult birthday party need a few trendy gold balloons? Kids birthday party incomplete without superhero decorations? We’re happy to accommodate all reasonable outside party decor. Feel free to bring in balloons but make sure they are securely tied or anchored. You may hang up decorations, but please do not damage the walls! And no confetti! We have worked with many party planning and decorating vendors and are happy to recommend some for your event. CAN YOU OPEN EARLY FOR AN EVENT? Yes! If you don’t mind the small fee to cover bringing in staff early, we are more than happy to accommodate whenever possible. Yes! Minors are welcome in our front dining room and on our bocce courts until 10pm each night, space allowing. Weekend brunch and early evenings are particularly family friendly, especially on the bocce courts. Yes! Please enter the main building through the biergarten located on the north side of the building. We also have ramps that can be used to access the bocce courts. The upstairs Mezzanines, however, are accessible only by stairs. DO WE ALLOW OUTSIDE FOOD & BEVERAGE? Yes, with some limitations on the food. For a small corkage fee or outside food charge, you are welcome to bring in outside wine or outside desserts for your event or celebration. 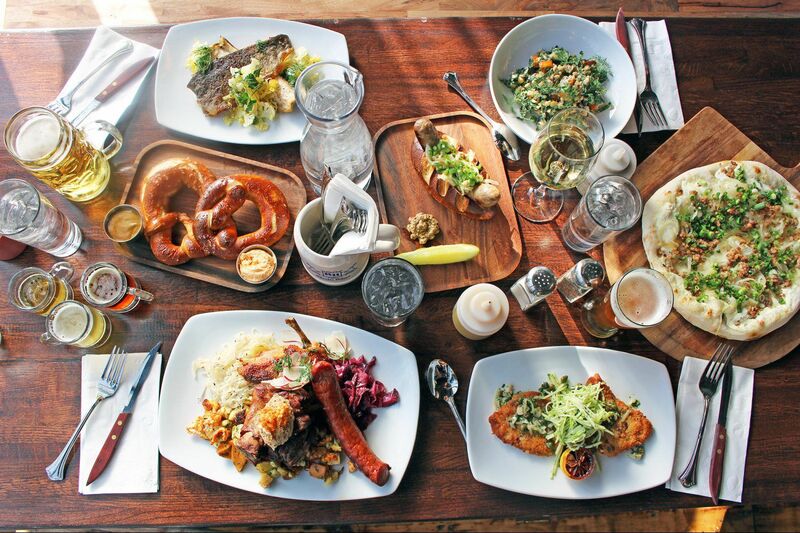 Rhein Haus requires a credit card number to be held on file in order to confirm the reservation. Food and beverage minimums do not include tax, gratuity, or bocce court rental. In the event that the food and beverage minimums are not met, the remaining balance will be charged as a room rental charge. We are happy to run separate tabs on credit cards for your party. All tabs will count towards the event space minimums. Cancellation Policy: Canceling your event within 72 hours of the event will result in a charge of the admin fee and 50% of the total of any pre-ordered food and/or 50% of the minimum space rental fee. Day of “no- shows” will be charged an additional service charge equal to the “Estimated Service Charge” listed on the event contract. This will be applied to the credit card used to hold the reservation unless other arrangements are made. All events are subject to a 3% administration fee and a 20% Service Charge. 90% of the service charge will go directly to the service and support staff that work your event.